Our company is recognized amongst the notable supplier of Hematite Powder. 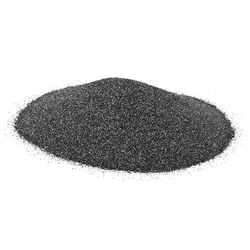 Our offered Hematite Powder is available on diverse requirement as per the necessities of customers. This Hematite Powder is supplied by our highly experienced specialists by using modern methods with the trends of the market. With our vast experience & knowledge in this field, we are engaged in manufacturing a quality-assured range of Hematite Powder. Owing to the efforts of our dedicated team of professionals, we have been constantly engaged in offering the best quality Hematite Powder. 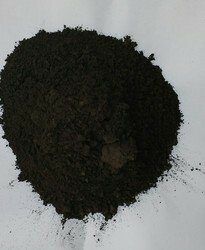 We offer Hematite Powder in 30/100/200/300 mesh. Our superior grade Hematite Powder is used across industries. Utilized in applications like Casting, Brazing, Welding, Photocopy, Friction, Chemical, EMI Shielding and Metallurgy. With strict focus on quality, our company is engaged in offering a Hematite Powder. This product is praised for its effectiveness and purity among our clients. Density /SG: 5.05 g/cc Min. Catering to the requirements of our clients, we are involved in offering Hematite Iron Powder.